Are you ready for a trip of a lifetime? 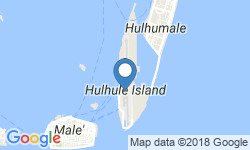 Book a trip with Sultan of the Maldives for a trip you’ll never forget! 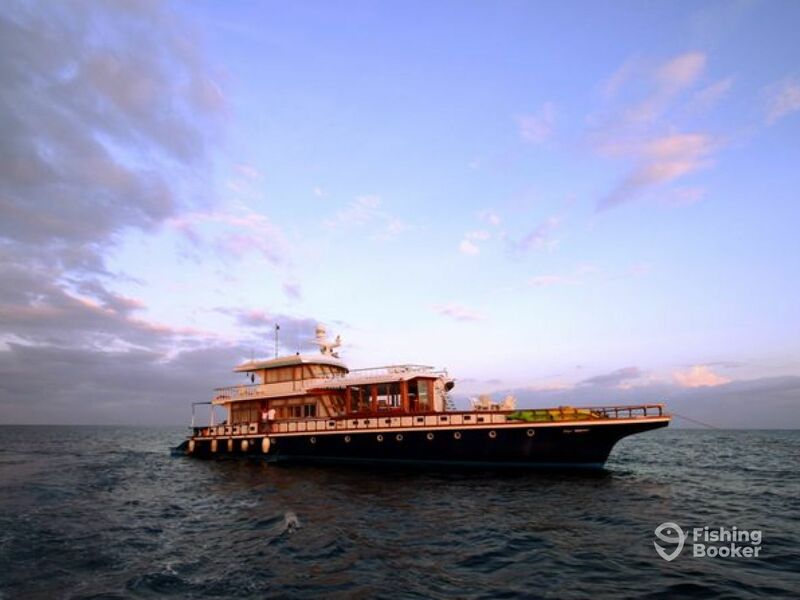 “Sultan of the Maldives” is a stunning locally crafted custom built vessel. The team that will be looking after you are renowned for their friendly and warm service. 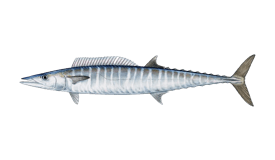 This beautiful vessel is 100’ long and comes fully equipped for fishing Dhoni, with the appropriate gear for game fishing. There is a separate dinghy on board for added mobility in casting and jigging. The boat has a 620 HP Yanmar engine which will see you at the various fishing grounds before you know it. The fishfinder, along with the crew’s extensive knowledge, will keep you on top of the fish all day long. On board, there are 6 double and 2 twin sharing cabins for a total of 16 guests. 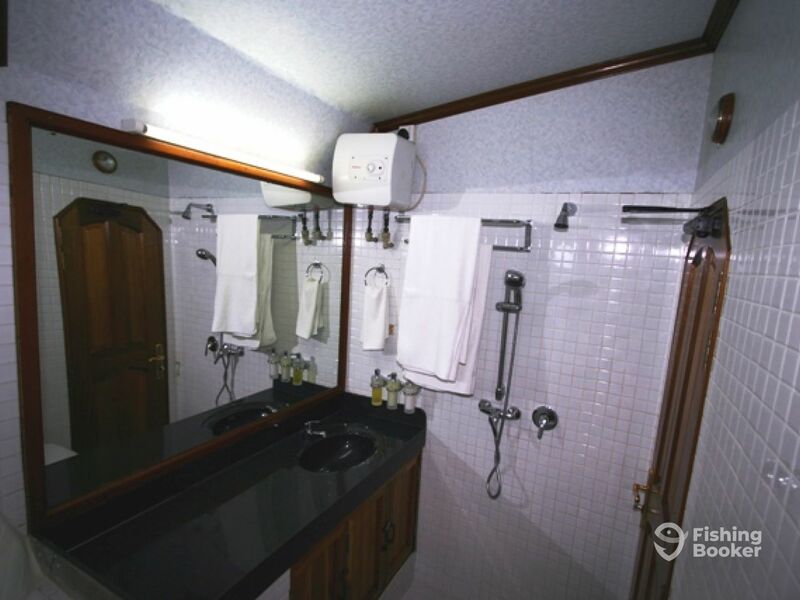 All cabins are comfortably furnished with air-conditioning and en-suite bathrooms with hot and cold water. There are also 3 graceful teak decks. The main deck has a sheltered intimate bar surrounded by comfortable dinette sofas for lounging and entertainment. Forward of the bar, an open-air deck offers an inviting space for any gathering, while the upper deck sports a sundeck solarium with undisturbed sunbathing and relaxing areas. 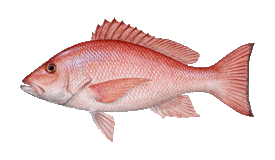 Even when not fishing, you’re going to have a fantastic time! 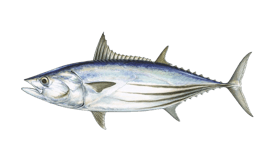 When you decide to fish, you can expect to target Skipjack and Yellowfin Tuna, Giant Trevally, Red Snapper, and Wahoo. 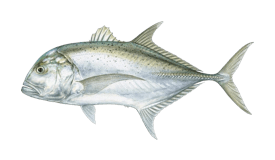 Live bait and lures are included, but you’ll need to bring your own rods and reels. All food and drink are covered on this trip. You’ll be able to experience Maldivian traditional night fishing, snorkeling, BBQ dinners, and deserted island picnics. It doesn’t get better than this! Book now for an incredible adventure you’ll never forget. You’ll be the envy of all your friends! 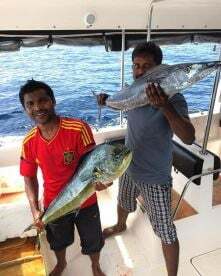 Allow yourself to explore the fun and excitement of a fishing expedition onboard the Sultan of Maldives. 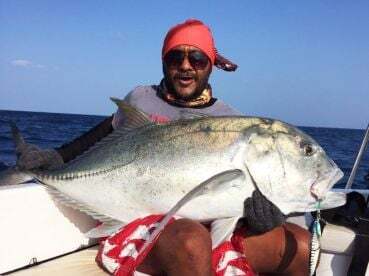 A dedicated team will guide you through the most abundant fishing sites around, ensuring some of the most intense fishing action in the Maldives. 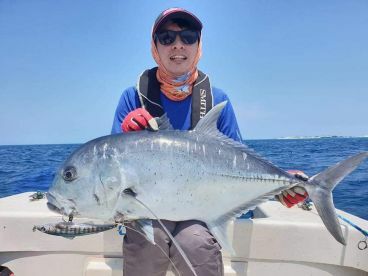 For keen fishermen and first-timers alike, you will be entertained throughout the journey as the itinerary is tailored to your interests. 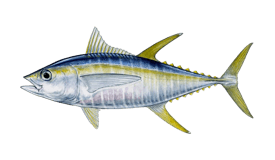 Skipjack and Yellowfin Tuna, Red Snapper, Giant Trevally, and Wahoo are all available to catch.